Different memories of traffic scenes affect a driver’s visual search, driving behavior and traffic safety. 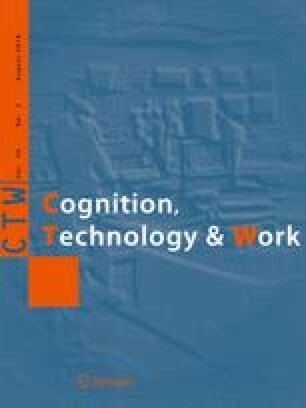 The aim of the study was to examine how drivers’ memory changes during daily repetitive stimuli from traffic scenes, to provide a guide of driving times which can characterize drivers’ familiarity, and to explore whether there is a difference in memory characteristics between male drivers and female drivers. A driving simulator was used to collect data. Twenty licensed drivers were recruited to perform the experiments. The Driver’s Memory Scale for Traffic Scenes was designed to measure a driver’s memory. The negative exponential model was selected to model drivers’ memory of daily stimuli in traffic scenes. The saturation value of the driver’s memory for the traffic scene, i.e., the capacity of memory, and the memory growth coefficient were proposed to characterize drivers’ memory. The Mann–Whitney U test was used to conduct the significance tests. The results show that the average capacity and the average growth coefficient of drivers’ memory for the traffic scene were 0.86 and 0.54, respectively. Drivers’ memory increased over time, and rapid initial growth was followed by an asymptotic stability after a certain period of time, called steady time. The average steady time of drivers’ memory for the traffic scene was 7.6 times. The results also show that there was no statistically significant difference in the capacity, the growth coefficient, and the steady time of drivers’ memory for the traffic scene between male drivers and female drivers. The findings provide a theoretical reference for the related research on road familiarity and driving behavior. The findings also have potential applications in the familiarity training of a route for fixed route drivers and the familiarity training of search and rescue routes for firefighters. This research is partly supported by the Open Fund of Beijing Key Laboratory of Traffic Engineering, College of Metropolitan Transportation.